I had emotions. And feelings. Lots and lots of them. Sometimes I thought I would like to wear black all the time and hang with the emo crowd. But I didn’t, of course, because that would be silly and there was no emo crowd to hang out with. I was thirteen. I was in Kenya. When you are thirteen and in Kenya and have lots of emotions and feelings you are probably not going to be very good friends with your mom. Your mom will do mean things like make you mop the floor. You will be mad. Do Mom and I look like friends in the above picture? I look like I am thinking something deep and pensive and sad. Mom looks like she is trying to deal with hard things, a day at a time. Ben looks like he is watching the weird TV show about the woman with four-inch fingernails that was playing right then at the house of the lady whom we were visiting. Kenya was a hard place to live. But it was also the land of tea. 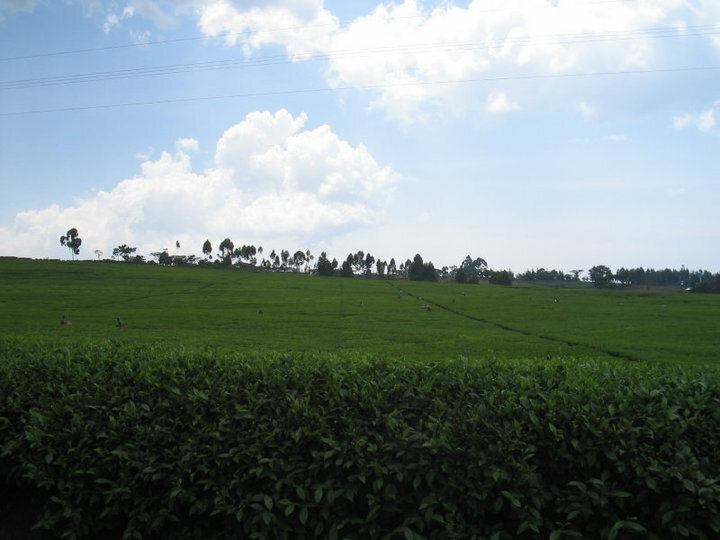 That, my dear friends, is what a tea field looks like. We bought tea, and we drank tea, and it was cheep and also the best tea we had ever tasted. We’d sit at the kitchen table in ugly plastic chairs, and drink tea. My mom and I. One tea bag was too much for one cup of tea, but it was perfect for two. I adored that black Kenyan tea. Mom loved the tea too. 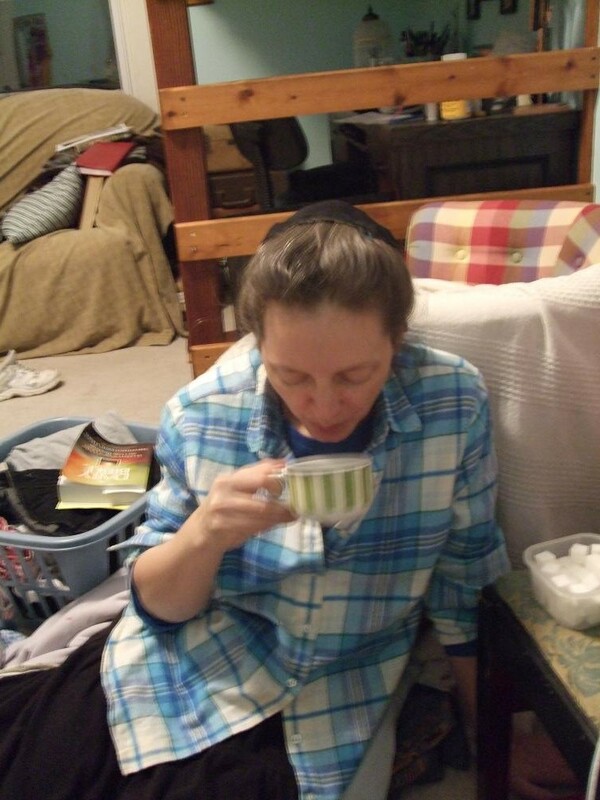 As we sat drinking out of our white Kenyan tea cups, we loved the tea and we loved each other. 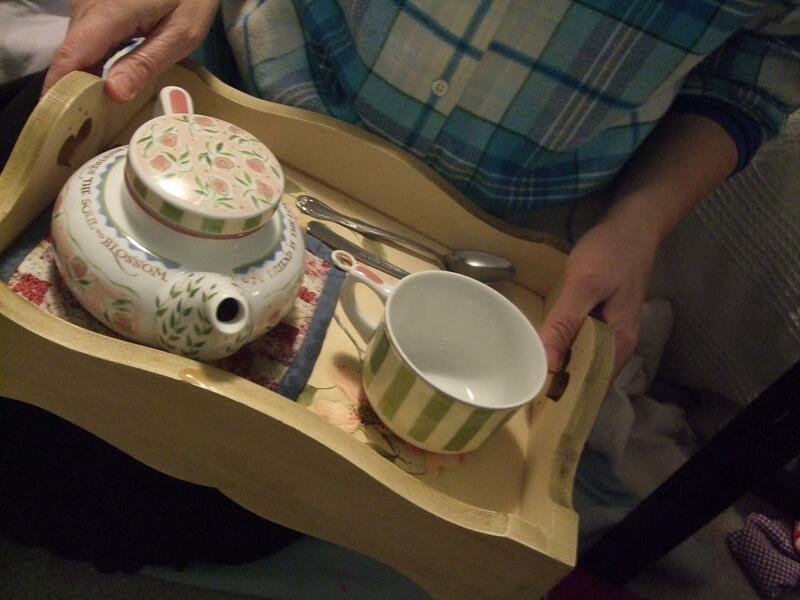 When we came home we brought along white Kenyan tea cups and Kenyan tea. And we started our collection. Three teacups eventually became thirty teacups. One garage sale tray blossomed into five. We got little spoons, and sugar cubes, and cloth napkins to line our trays. We bought Darjeeling tea and English Breakfast tea and Earl Gray. We love tea and we love each other even more. i love this post. It makes me feel warm and sunny inside. And i really like Esta’s picture. 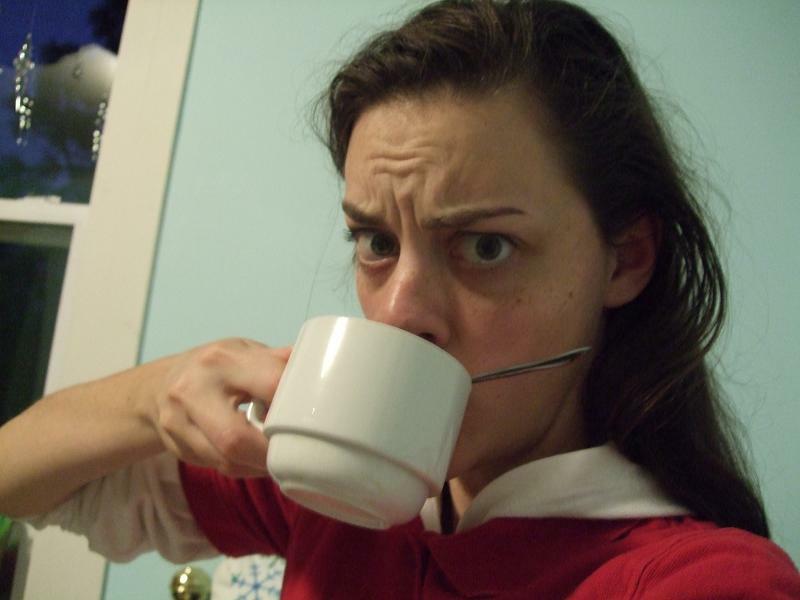 Did you also drink iced tea in Kenya, or do you and your mom stick to hot tea only? We did do some iced tea, but it was mostly hot tea. At least, hot tea was what we bonded over. Everyone drank iced tea. Aww I very much like this post. I would like to meet your mother; she seems very sweet. Such a funny picture, and a heart warming story. 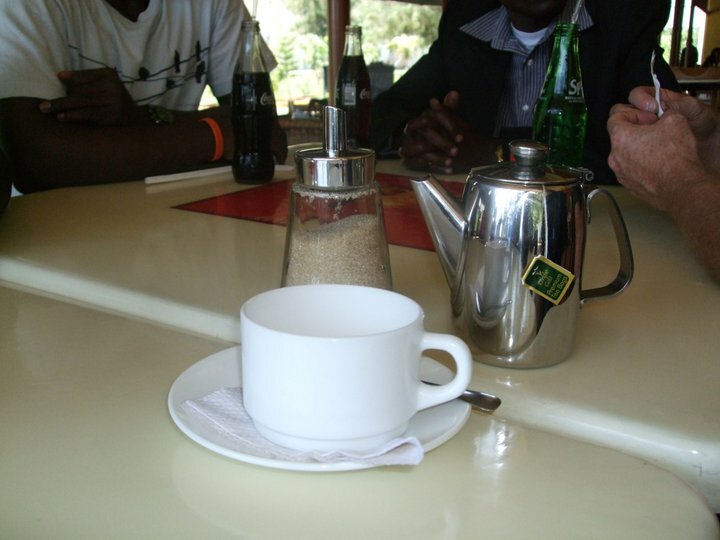 Do you have a local source for the tea you drank in Kenya? I would like to share the ritual with family. Mom says she buys it at Allann Brothers in Albany. Are we allowed to ask why you were living in Kenya? 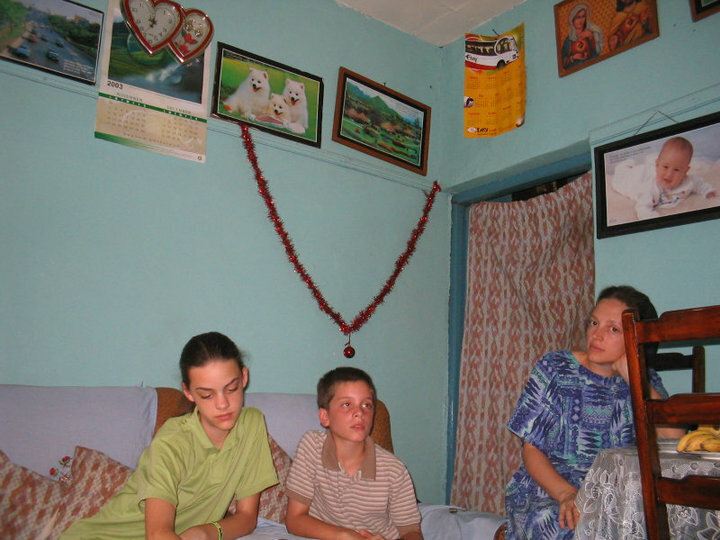 My family lived in Kenya for three months when I was thirteen. We worked at a home for street boys. My parents wanted to give my family some experience living in a third world country. Your parents were wise, I think.